Nearly 15 years have passed since the release of last A Perfect Circle full length album of original material, the 2003’s Thirteenth Step. Year after the band has released Emotive, a collection of cover songs aimed at the then Bush led government. Lots of time has passed since and while Eat The Elephant is not a cover album it’s in many ways just as politically and socially changed as Emotive. 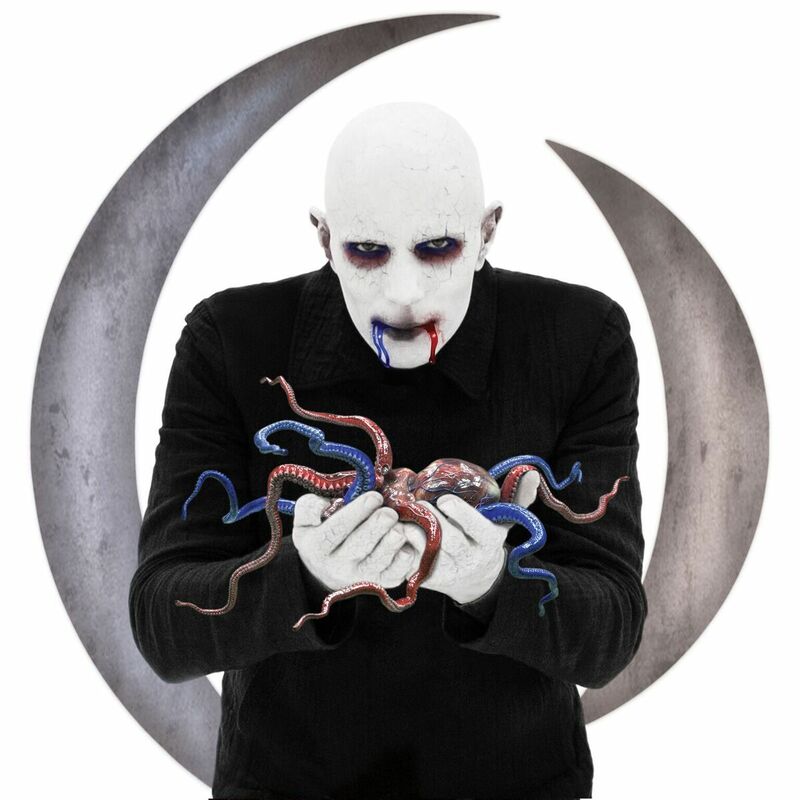 After such along break many bands continue where they left off, but with Eat The Elephant, A Perfect Circle have created an album that feels like anything but. All the aspects of this album are made to grab your attention and make you feel that 15 years indeed did pass since Thirteenth Step. Starting with artwork, which might seem silly and poorly executed, but it most certainly gets your attention and signals that you won’t get what you might expect from the band. Musically the band is exploring new ventures, which would be impossible to imagine has there not been such a long-time gap, between the releases. Overall the album is mellower often more pop than rock oriented. This takes some getting use to, but truth be told, band’s remaining releases craved just as much of time and concentration from a listener. Another surprising aspect is Maynard J. Keenan’s vocal approach which explores styles previously unexplored, not only in A Perfect Circle, but also in his other bands Tool and Puscifer. Those crave your patience nonetheless because the expression is different. Change is welcome, but overall together with certain vocal effects it does rob some of the melodies from that well-known Keenan fragile, emotional weep that sets him apart from any other vocalist. His lyrics in A Perfect Circle have always been more direct and simple than those he writes for Tool. Lyrics on Eat The Elephant are even more direct simple than on the rest of the albums and sometimes they might even come across as too common despite the weight of the subjects. Thanks to good melodies and vocal performance for the most part the band gets away with it, at times with superior ease (“The Doomed”), other times not as smoothly (“So Long, and Thanks for All the Fish”). And the later of the two is one of the most noteworthy tracks on the album due to its uplifting Coldplay pop approach. Prior to release of the album seven out of twelve songs have been premiered in one way or the other (four were released as singles, two were played live last year and one is remake of a song released in 2013), and that takes some of excitement and feel of a brand new collection of songs. Sure, those are the premises of the releasing music in this age and time, but one can’t help but wonder if band like APC, whose approach to modern media and digital tools could’ve make more of a surprise impact with the release of this album. Not necessarily in an out-of-the-blue vein like that of the latest Avenged Sevenfold album, but in a manner, that would result in something that felt like a greater initial impact. Just like the title suggests, it takes time and determination to digest this album and despite the fact that it doesn’t quite match the intensity and beauty of the previous two releases, if you do give it time with an open mind, you’ll find it to be extremely gratifying. Not only because it’s a good record, but because it’s unusual record from a band who was unique to begin with.